Minister of Foreign Affairs and Regional Minister Shirley Ayokor Botchwey has told Parliament that the government is yet to establish the actual number of Ghanaians stranded in Libya. They are, however, doing everything through Ghana’s Missions in Valletta, Malta, Tripoli, and Niamey – marshal all available resources, to assist those stranded. “This, coupled with the highly volatile situation in Libya has made it very difficult to obtain information on the actual number of Ghanaian nationals in that country. The Minister was answering a question on the Libyan situation on the floor of Parliament. She said the government would consider evacuating the reported 62,422 stranded Ghanaians in Libya if it was able to ascertain the correct figure as provided by the Accra Office of the IOM. 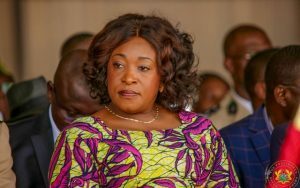 Dr. Clement Apaak, Member of Parliament (MP) for Builsa South, had sought to find out if her Ministry was aware of reports by IOM that 62,422 Ghanaians were stranded in Libya. Since June 2017, a total of 706 Ghanaians (661 men, 45 women) in Libya have been assisted to return home voluntarily with the majority of the returnees, 70 percent, being returned from various detention centers in Libya. The Minister, however, said the Ministry and IOM had jointly repatriated about 200 Ghanaians to Ghana since April 2018. The Ministry had also opened a consulate in Tripoli and another in Niamey to aid Ghanaians who required such service. The post Number of Ghanaians stranded in Libya not yet known – Ayokor Botchwey appeared first on Citi Newsroom.